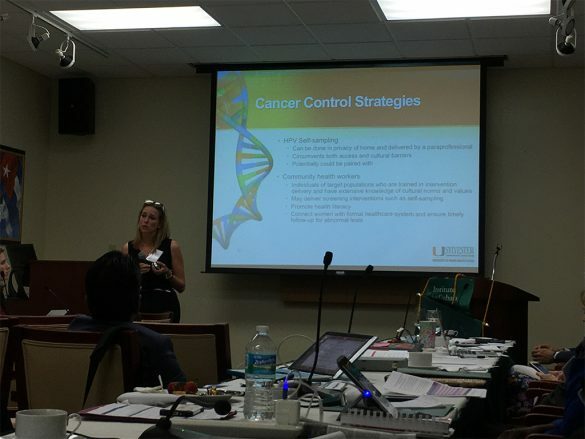 Solutions to women’s cancers in the English Caribbean was the focus of a 2-day sub regional forum held in Miami from May 11-12, 2016. 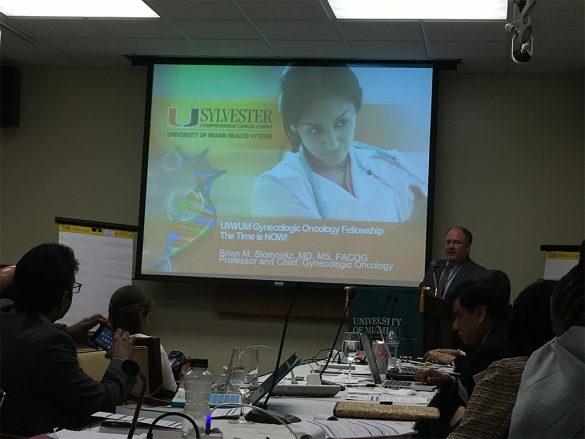 The meeting was hosted by PAHO, with the support of the PAHO Foundation and together with the Miami Institute for the Americas and the Sylvester Comprehensive Cancer Center at the University of Miami and the Breast Cancer Initiative 2.5. 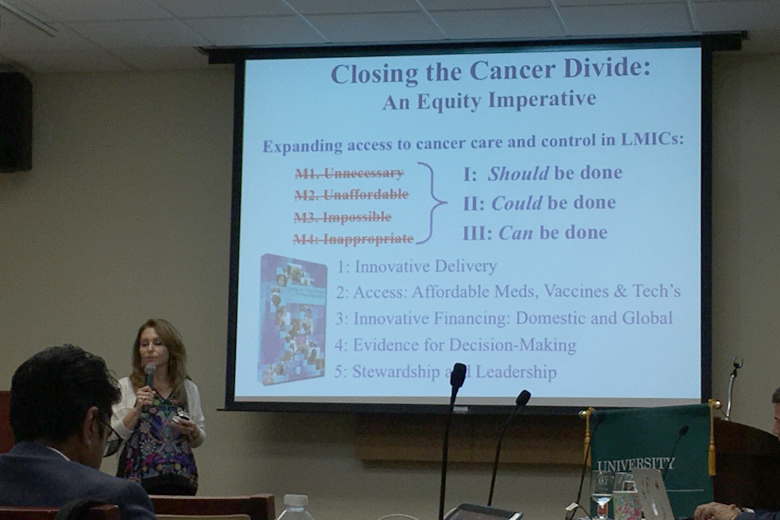 The PAHO team led by Dr. Silvana Luciani, brought together key partners (including significant HCC partner the American Cancer Society and the National Cancer Institutes (NCI) responsible for holding a Cancer Control Leadership forum in Barbados in May 2015 with regional partners including PAHO, CARPHA and the HCC) to identify potential areas of collaboration to support countries in the Caribbean to improve the effectiveness of women’s cancer programs. 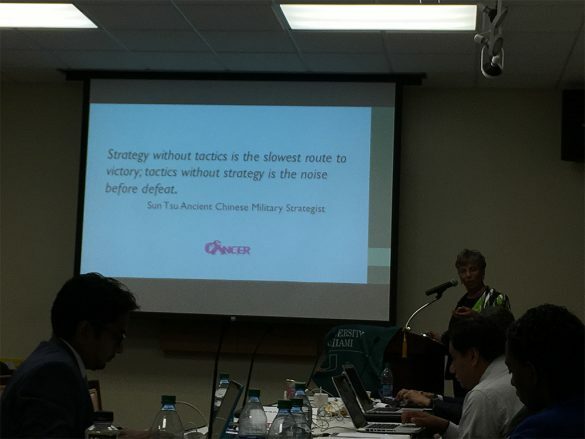 Civil society was strongly represented at the meeting by the HCC, the Barbados Cancer Society, Belize Cancer Society, Cancer Society of the Bahamas, the Caribbean Gynecologic Cancer Society, the Jamaica Cancer Society, Breast Friends (Antigua), Lobi Foundation (Suriname), the Cancer Institute of Guyana and the Trinidad & Tobago Cancer Society. Most of the cancer societies present were also members of the Caribbean Cancer Alliance formed in 2013 under the leadership of the HCC. 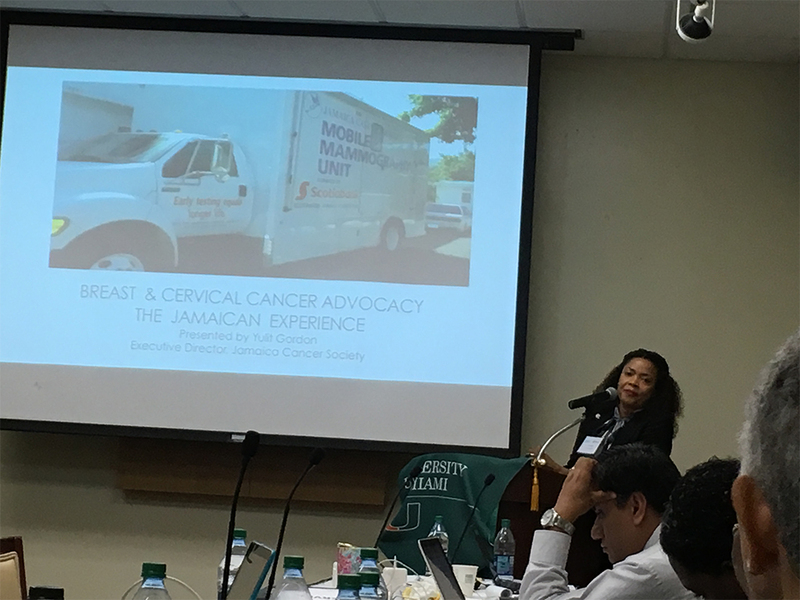 The CCA is an informal alliance of the region’s cancer societies currently being led by the Belize and Jamaica Cancer Societies. 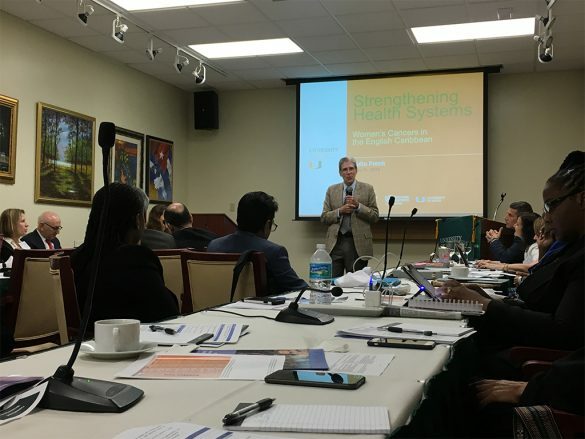 Ministries of Health from 13 countries. The HCC was pleased to have been invited to share the work we have done in partnership with our member organisations including the Belize Cancer society and the Jamaica Cancer Society who also made presentations. 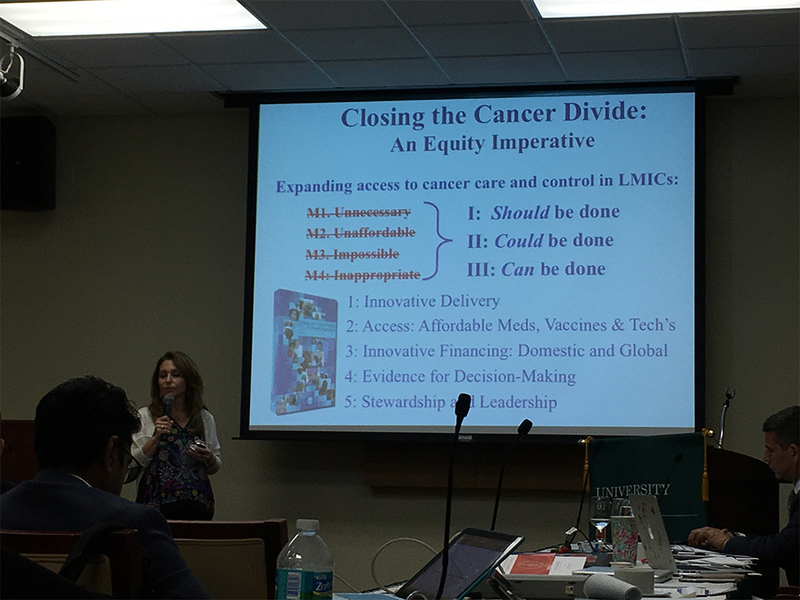 Report and manuscript describing the proceedings and outcomes of the meeting. 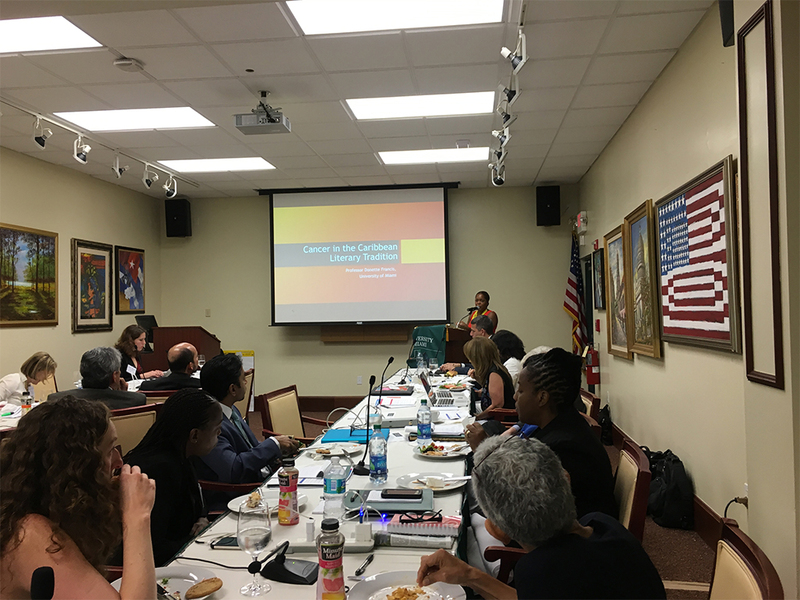 HCC Executive Director, Maisha Hutton, applauded PAHOs continued leadership and support in this area and looks forward to continued collaboration with Dr. Luciani, regional NGOs and international partners organisations keen to expand their work in the Caribbean. For more information on the HCC’s work, and that of the CCA, on cervical and breast cancer in the region please email us at hcc@healthycaribbean.org. See the meeting resources from the event on the PAHO Website here. 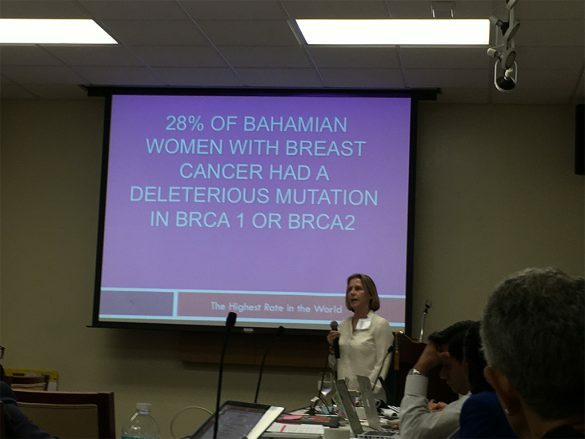 Breast Cancer Initiative 2.5: BCI2.5 is uniting the global breast cancer community behind a common goal to make breast health a global priority and reduce disparities in breast cancer outcomes for 2.5 million women by 2025. Check out GloBAM. The Global Breast Health Analytics Map (GloBAM) is an interactive data visualization tool for analyzing the determinants of the global breast cancer burden. International Cancer Control Partnership: The International Cancer Control Partnership (ICCP) launched its web-based portal on cancer control planning and capacity-building on the occasion of the WCLS in November 2013. The ICCP Portal aims to assemble all the resources necessary for countries to implement their commitments from the Global NCD Framework. 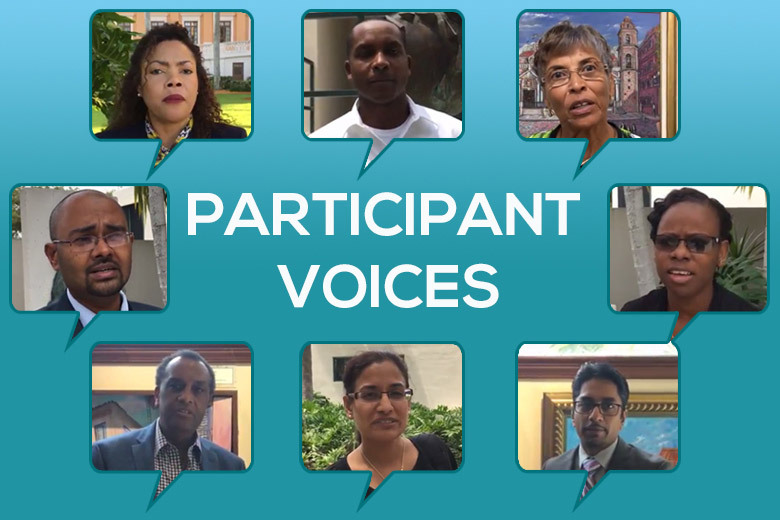 Have a look at some participant perspectives in the videos here.